Yesterday was Mother's Day, and it got me thinking about all the ways my life has changed since I became a mother myself. In many ways, my children have changed me for the better, and my finances are no exception. I feel comfortable certifying myself as a workaholic. I get a lot of self-esteem from my career and work ethic, even when I'm going through rocky patches of it. If I can put in a hard day's work, I'm happy. I used to be willing and able to find any amount of time to trade for money. Now I find myself on the other side of the coin willing to sacrifice money for time. 2. Sometimes, experiences are worth it. I used to be very frugal when it came to spending money on events. Then, Yo Gabba Gabba was coming to town. It's not something we do everyday. It's not something we do every year. But while there are plenty of ways to have fun for free, every once in a while splurging for someone you love is worth every penny. I know no other role that will humble you more quickly than motherhood. I am used to being fiercely independent. I like doing things on my own so that no one can hold anything over my head. But there was no way I was going to be able to do this thing by myself. My mother and in-laws help immensely with free babysitting. My sibling sometimes takes some of our laundry to wash so we don't have to spend a ton in our coin-op building. My children have an aunt that loves to buy them clothing, and a lot of their wardrobe has also come from hand-me-downs of very generous friends. I haven't washed every dirty dish in my house. I haven't taught my children every valuable life lesson that I've learned thus far. My children are the amazing people they are today because of the influence of those generous people in our lives. The stubborn, "independent" me of yesterday is gone as I'm replaced with a more humble and grateful version of myself. 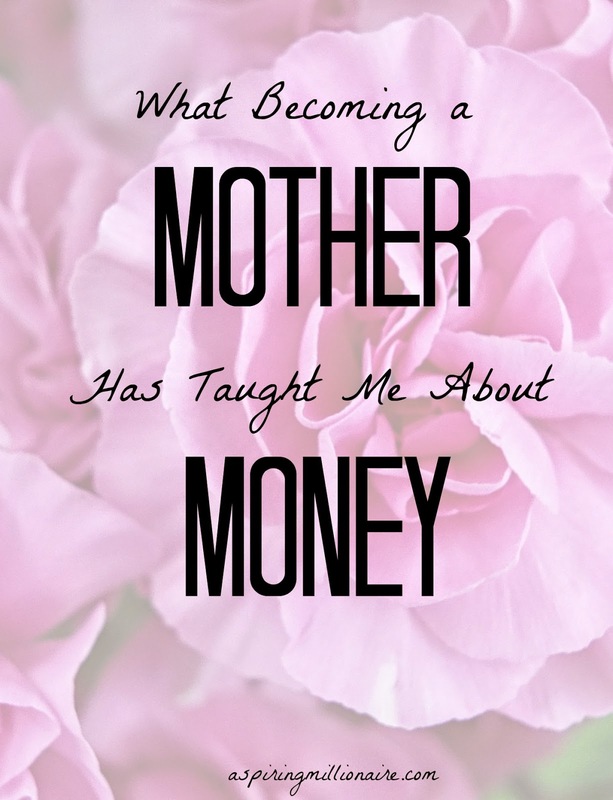 What financial lessons has parenthood taught you?